Morgan James Publishing, 9781683503859, 118pp. Are you struggling to make the Law of Attraction work for you? Maybe you've heard of the Law of Attraction (LOA), but have you identified the way it can help you? Grounded in the teachings of Abraham-Hicks, Ginny Gane shares a simple approach to help you live your dream life now. If you have learned the basics of LOA, but are still searching for how to really see results in your life, A Champion Mindset will help you leverage what you already know to live the life of love and freedom you desire. You have the power to purposefully create the kind of life you dream of and the techniques taught within these pages will get you there. Learn the skills that will ultimately empower you to take control of your experience and truly uncover and be all that you want to be. 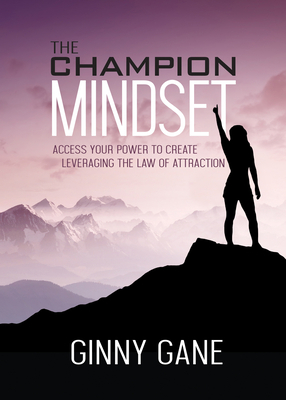 Ginny Gane is a shiny, fun Law of Attraction expert for people who crave more out of life and are ready to realize their full potential. She was raised with the belief anything is possible and we always have a choice. She is also co-host of the popular podcast Manifest It Now. Through her fun and easy courses, ebooks, and personal coaching, she reminds you of your incredible personal power while making it all feel like having an ice cold beer on a hot day. Ahh. Her rockstar followers and clients have called her "uplifting," "a light," and one woman even said "After a session with Ginny, you'll honestly feel as though you can accomplish anything!" When she's not playing with LOA, you can find her indulging in sunshiny outdoor adventures, fun fitness exercise and practicing singing...along to the radio.